Well, y’all, I thought it was about time for an update – especially those that don’t follow us on social media/Instagram. 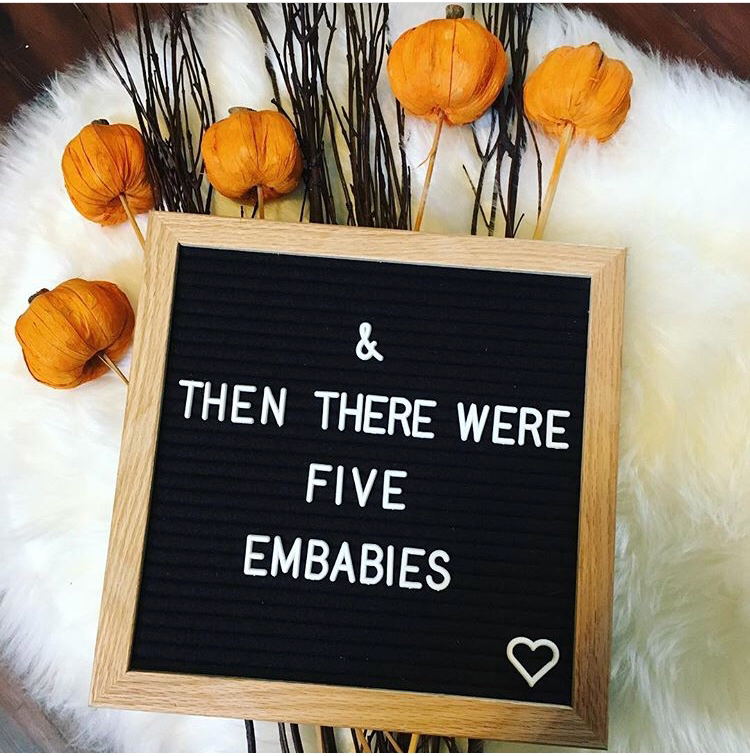 I believe I’ve mentioned this before, but because my husband and I had no embryos to use (for our gestational carrier), it meant that we had to go through another IVF cycle (our tenth) and egg retrieval (our fifth). On October 7, we started the first day of stims. Going into each cycle, I have always been pretty excited – at least in the beginning. There’s always that renewed sense of hope. That maybe, just maybe, this will finally give us what we’ve been dreaming of for the past five years. My egg retrieval was on October 19th. The day after Baby Bello’s due date and the day before our five year wedding anniversary. It was an extremely special day. 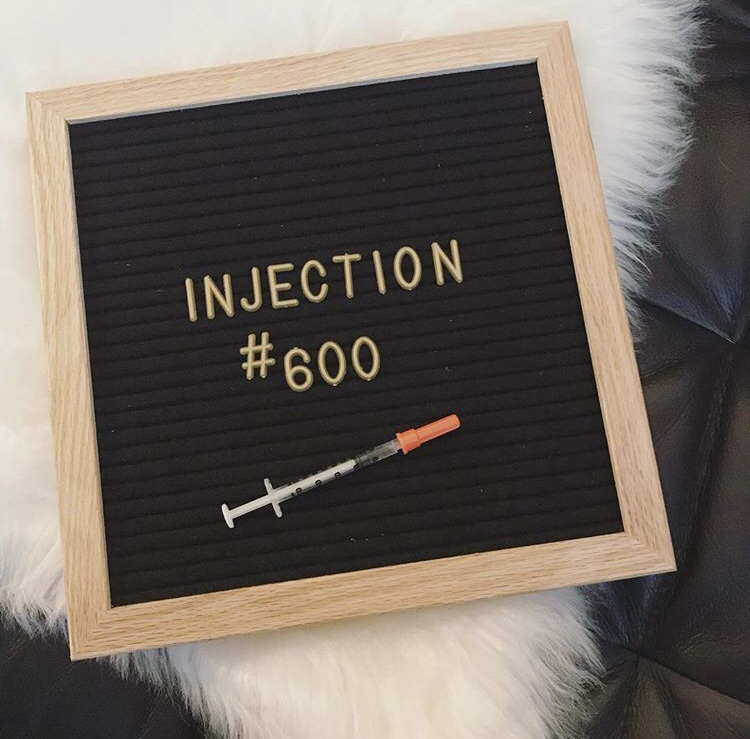 I hit a big “milestone” on stim day ten – I took my 600th infertility injection!! My RE was able to retrieve twenty-two eggs. Of those twenty-two eggs, twenty-one were mature, and we had SEVENTEEN fertilize. Our best results yet. But, wait, it gets better! Matt and I made the decision to do PGS testing on the embryos. Our embryos were grown until day five, biopsied and frozen. The biopsies are then sent off to the genetics company for testing. We, AMAZINGLY, had seven embryos make it to freeze – another all time best result for us! We got the call on October 31 that we have four NORMAL PGS embryos and one mosaic embryo – FIVE in total!!!!!! We do not know the genders, but the clinic does. 🙂 If you’re interested to learn about mosaic embryos, which I find actually interesting, please read this article. I received it from Deborah at FertilityIQ. This term is very new to me and I was happy to learn about it and our options. Our funds for surrogacy are pretty much squared away. 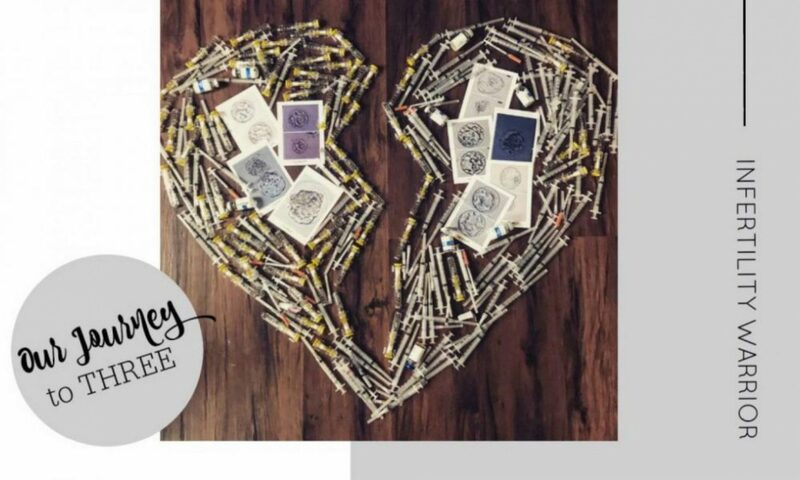 We are currently running our last fundraiser with MudLove and all of the proceeds will be going to our fertility clinic to help with admin & transfer fees, monitoring appointments, ultrasounds, and meds (totaling around $12K). The products mean so much to us. If you’d like to check it out or have time to share our story, please, click here! Now what’s next is what I’m sure you’re all wondering. We had to wait until we had embryos to proceed any further with our surrogate. She’s currently in the middle of a mock cycle right now with our clinic to make sure her body responds to the meds appropriately. She has some major, upcoming appointments (psych exam, medical, etc) and if you all could say some prayers for us and her that would be wonderful. After that, we can begin the legal process and start to move forward. As much as we would love to speed this process up and transfer as quick as we can, we know that this is when we just need to be patient. Our clinic closes the last two weeks of December as well, so our timeline is open. Her exams, our exams (psych) and legal will all take some time, as will prepping her body and making sure it’s prime for transfer. 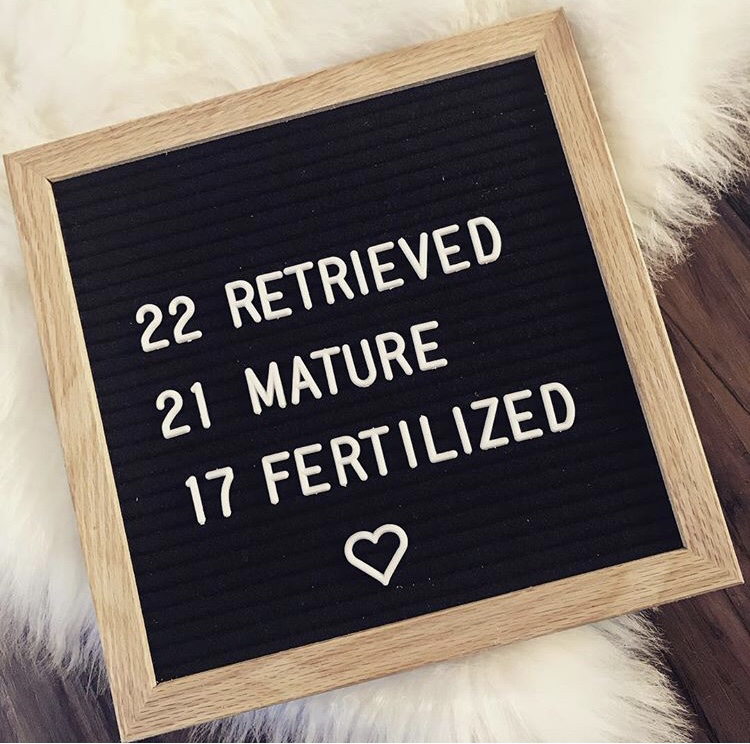 Infertility has definitely tested my patience and I’m 99% sure us waiting for these embryo results felt like a two week wait. We’ve been waiting for this for five years; there’s no reason to try and rush it now. I’m praying so hard that 2018 is our best year yet. As always, thank you to all of you for your constant love, support, and prayers. 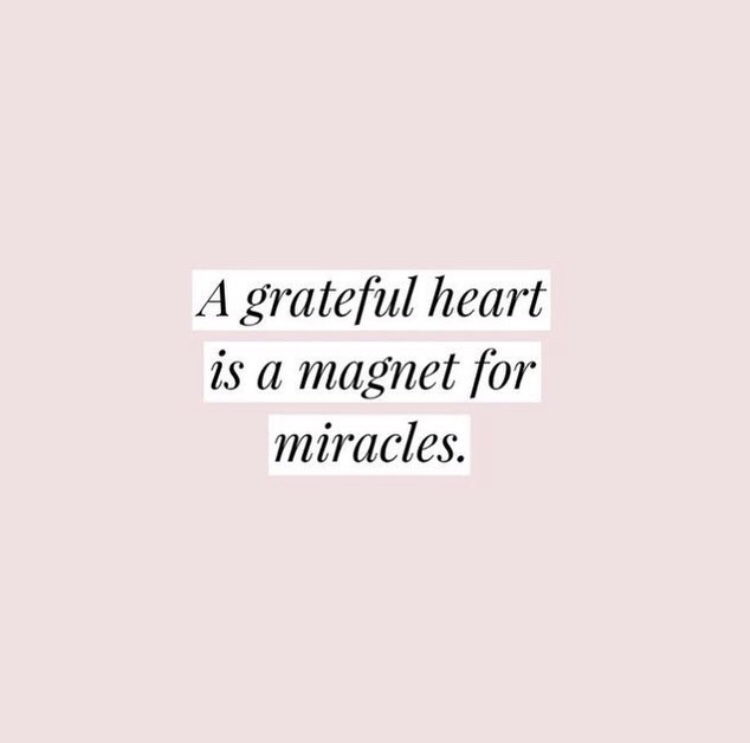 We are so extremely blessed and grateful for each and every one of you. Love to you all. Previous Postbye, wanda. Next Postthe finish line. I’m so sorry to hear the loss of your baby girls. And I totally hear you on the darn cycles being canceled. Sometimes a kick to the stomach. I get so impatient with that stuff, lol. Thanks for the good vibes! Where are you in Chicagoland?